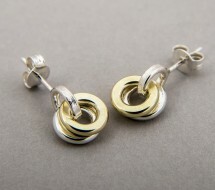 Two hand-made loops, hammered on one side and soft textured on the other, one silver and one 18ct gold, bound together with on a smaller silver loop; finished with a silver stud back butterfly fitting. Designed and hand-made in our workshop in the Garden of England, this deceptively uncomplicated piece is unique to Latham and Neve. 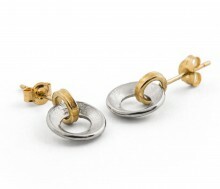 Like all Latham and Neve work, this piece has been designed with the wearer in mind - these silver hoop stud earrings are extremely easy to wear. 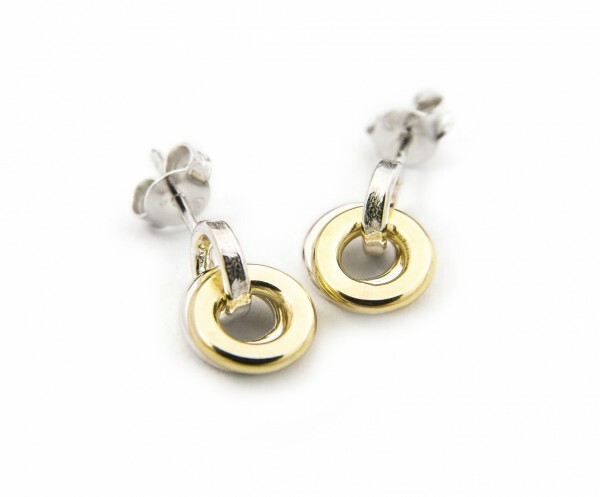 The two loops create a sparkling movement, the warm glow of pure 18ct gold contrasting with the gleaming cold of silver, making maximum visual impact with minimum fuss. Made to be worn! 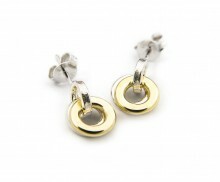 Made in British Hall-marked silver and 18ct gold. 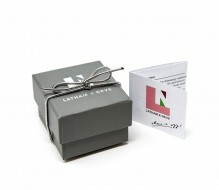 The earrings are presented in a stylish gift box, exclusive to Latham & Neve, and just right for giving. 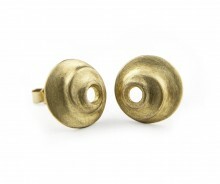 Made to be worn, so show it off!